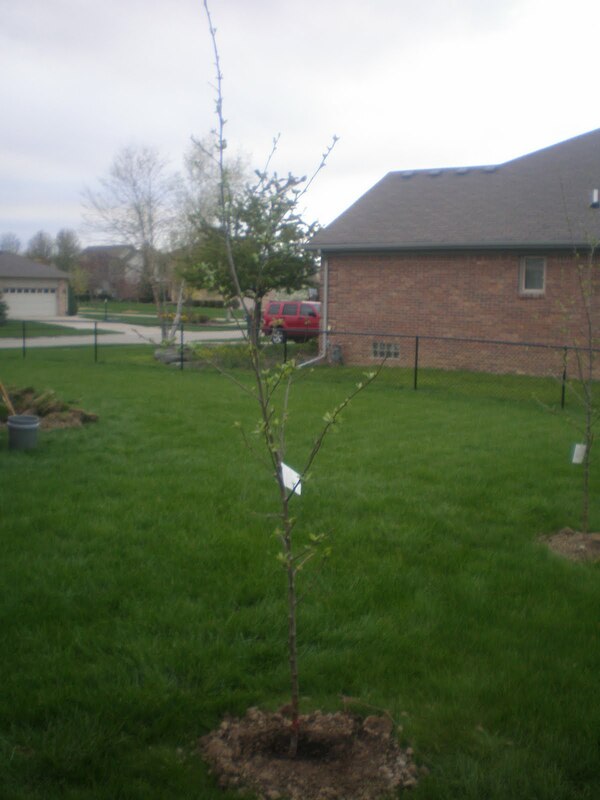 Now that you have decided planting fruit trees is for you. 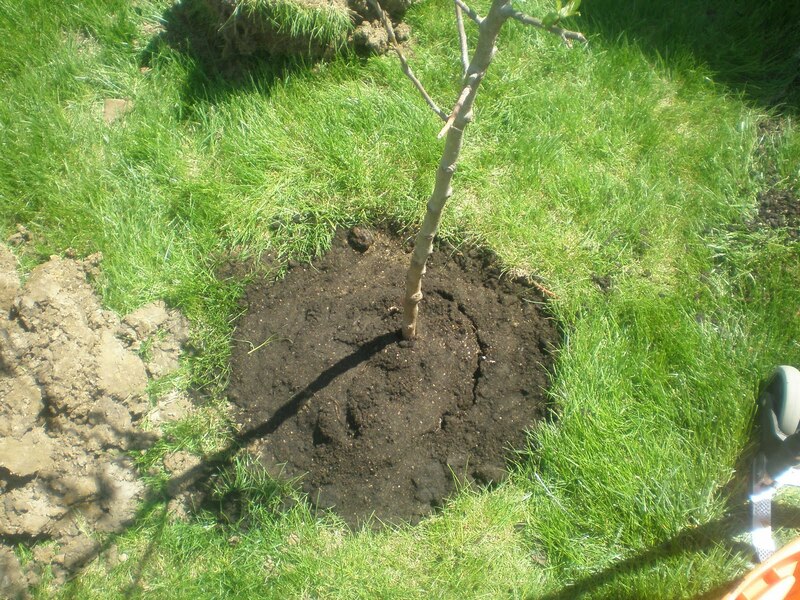 Follow these simple steps on how to plant a fruit tree. I planted an apple tree but these steps will work with other types of fruit trees. 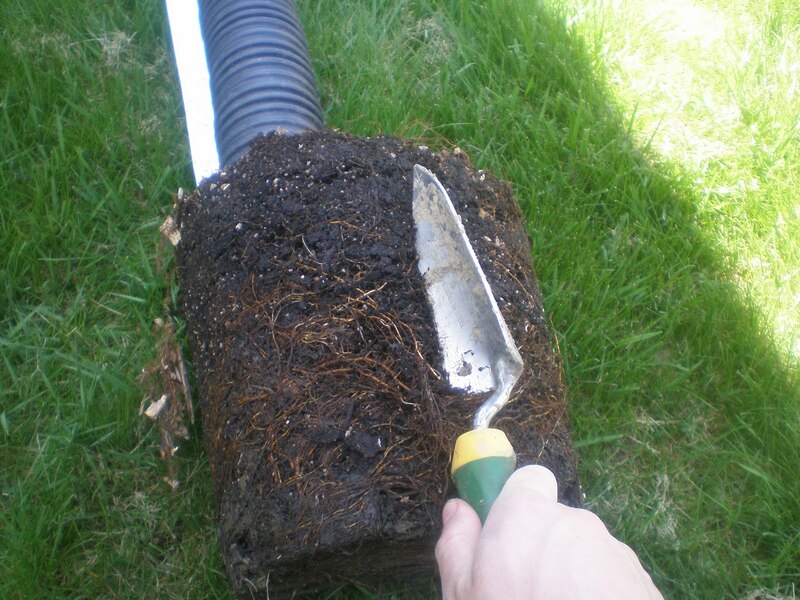 Dig a hole in the ground that is at least twice as wide as your apple tree's root-ball. The wider the better. Take the apple tree out of the package. Be careful not to damage the apple tree. 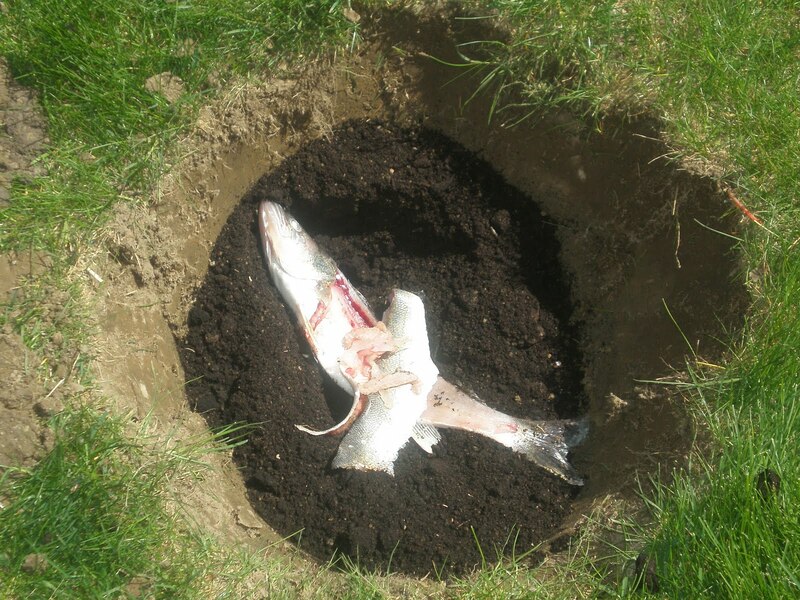 Make sure to separate the roots from each other. 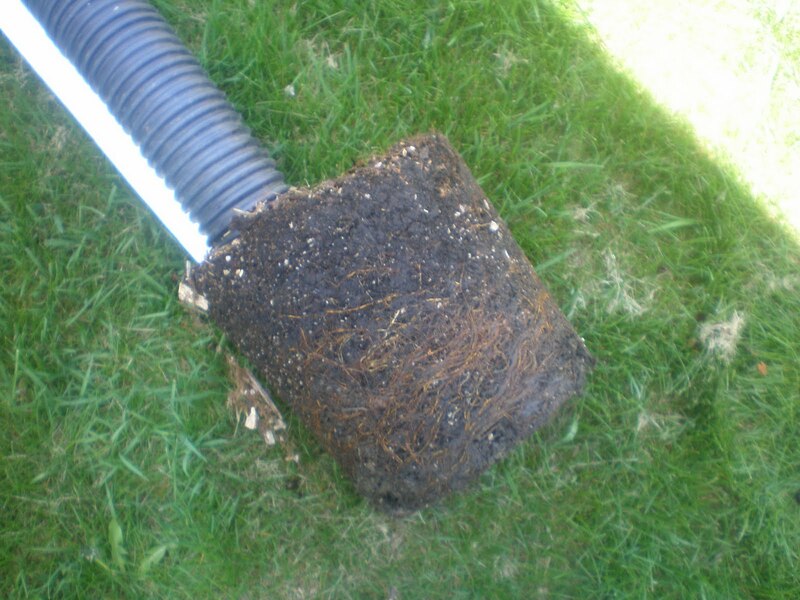 This allows the roots to spread out in the ground and not stay in a ball. 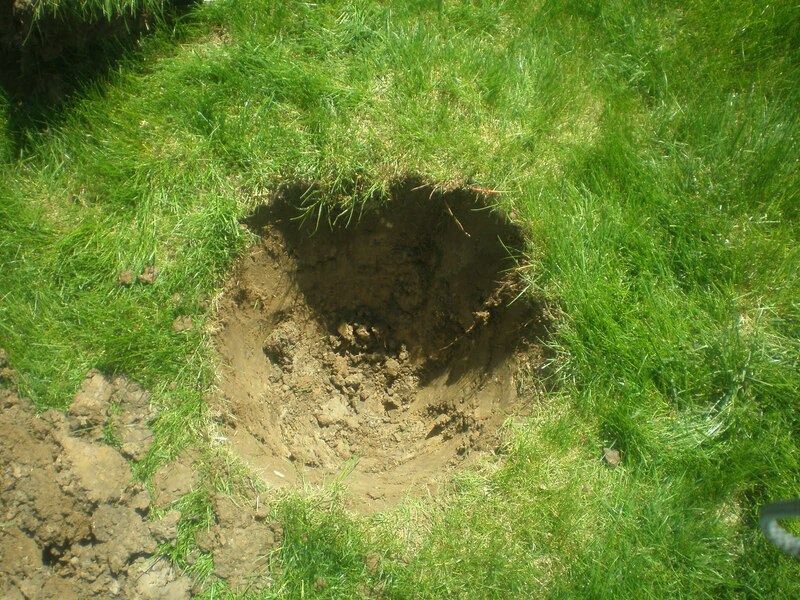 Put the apple tree in the hole. Make sure it is straight as it goes in. 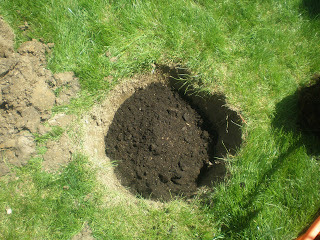 Fill in the rest of the hole with the compost or light soil. Again, make sure the apple tree is straight. Do not bury your tree above the graft. The apple tree will not grow right if you do this. Once the apple tree is in the ground, make sure you give it a good soaking. 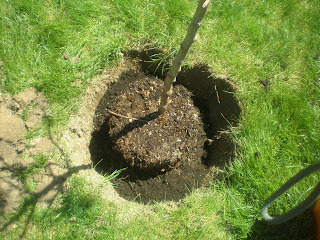 After the initial soaking, water the apple tree once a week. 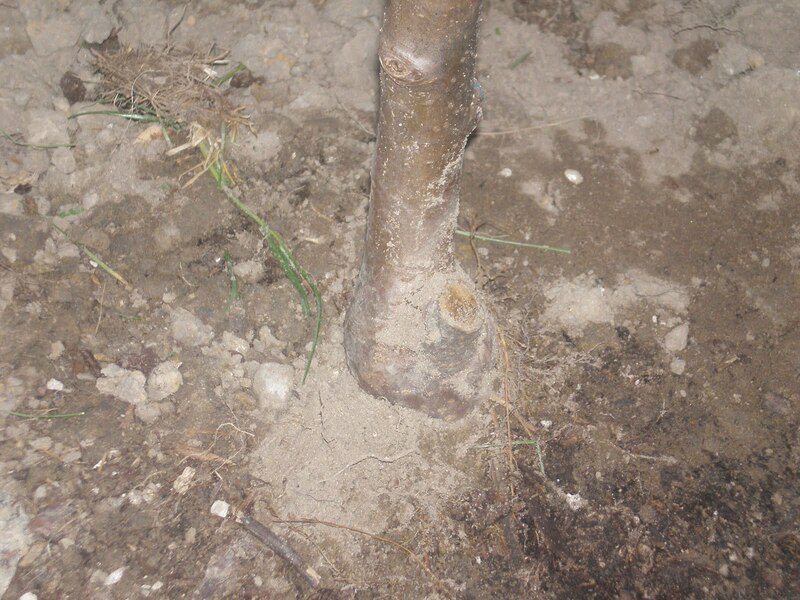 You do not want to make the mistake a lot of people make by over-watering the tree. If you water the tree every day, the roots will not be forced to expand to find water. You do not want this to happen because it will stunt the growth of the apple tree. 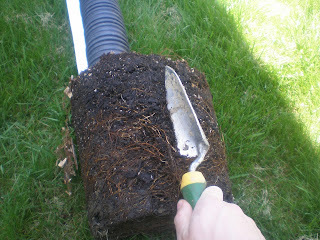 The roots need to expand and grow to find moisture. This will make the roots stronger and allow the apple tree to grow to its maximum potential. 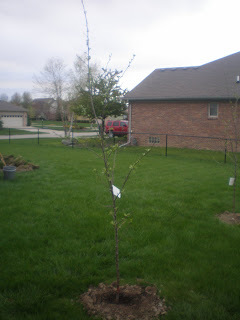 I hired landscaping experts to provide a modified look to my front yard, so they have planted several plants, including fruit trees, and it is certainly a beautiful idea.